Vacuum bags are an excellent tool for precise and comfortable patient immobilization. 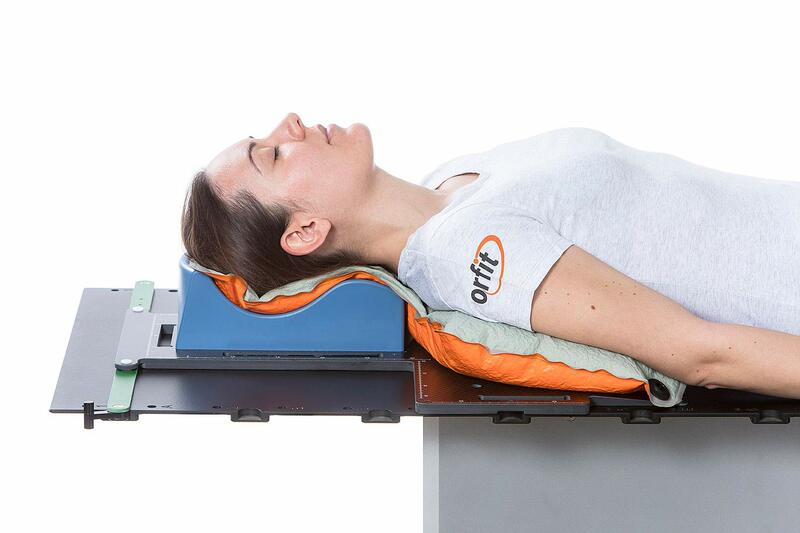 Thanks to the carefully chosen materials, Orfit vacuum bags conform closely to the patient’s anatomy and offer a reliable, precise and reproducible immobilization. We specifically designed the bags to withstand the rough handling conditions of a busy radiation oncology department, nevertheless, there are a couple of things you can do to ensure an optimal lifespan. If you follow a few basic guidelines for cleaning, storing and maintaining vacuum bags, you can make the absolute most out of them. Before using the vacuum bag for the first time we recommend checking the airtightness by evacuating the air out of your vacuum bag and leaving it to set overnight. If the bag is still completely hard the next day, you can start using it. Be gentle with vacuum bags. Do not step on them or throw them and do not lift them by the vacuum tube to avoid permanent damage. Avoid all contact with sharp objects. Regularly inspect your vacuum bag for signs of wear and tear or damage. If you notice that the vacuum bag is no longer in top shape, replace it or repair it. How to store a vacuum bag? Vacuum bags can be stored by using the hole to hang them on a hook. Do not stack the evacuated vacuum bags on top of each other to avoid changes to the shape. If you are not using the vacuum bag, store on a flat surface with the orange fabric facing down. Evacuate all air or keep them under a mild vacuum to increase their lifespan. How to clean a vacuum bag? Vacuum bags are easy to keep clean and do not require any special cleaning solutions. Just make sure that the detergent you wish to use does not contain any acids or harsh chemicals as these could damage the material. Use soapy water or an isopropanol-based disinfectant, applied with a soft cloth. What if a vacuum bag does get damaged? If a vacuum bag does get damaged (e.g. by a needle) it may be possible to repair it. Holes and cuts up to 50 mm can be repaired with our repair set. 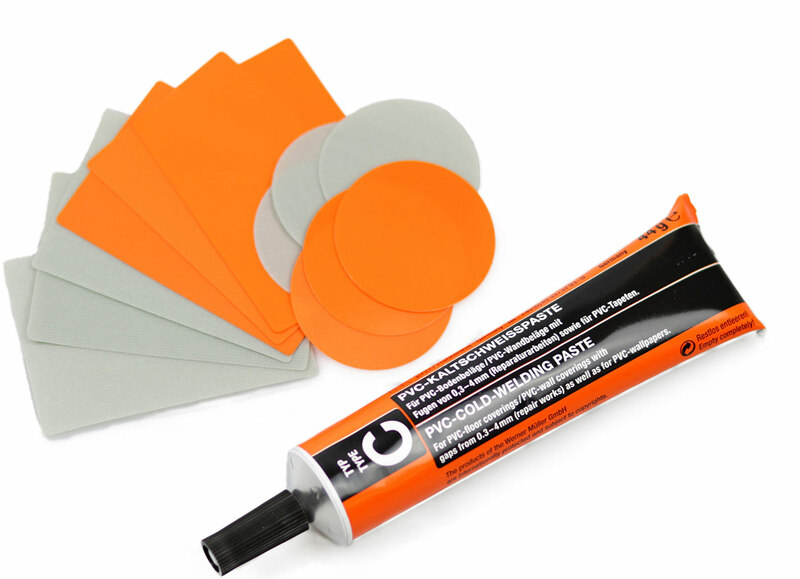 Holes and cuts up to 10 mm can be repaired with the paste alone and do not need an extra reinforcement with the patch. Cuts up to 30 mm along the seam can only be repaired with the paste. Holes and cuts up to 50 mm need to be repaired with the paste and a foil patch. Clean the surface around the cut thoroughly with alcohol and dry with a dust-free cloth. Let any residual moisture evaporate entirely before you get started with the repair. The damaged area should be smooth and the vacuum bag should rest on an even surface. Detailed instructions on how to repair each type of cut can be found in the Instructions For Use of the repair set. Discover our complete range of vacuum bags (indexed/non-indexed, adult/paediatric, T-shaped/rectangular, variable sizes) here.